The theme for week 38 (September 17-23) is Unusual Source. Newspapers aren’t unusual per se, but one normally looks for newspaper stories about people in the locations where they lived. I’ve got two examples where I’ve found newspaper stories about relatives in unexpected places. My third cousin once removed, Abraham Krengel, came to the U.S. in 1947 at the age of 8. HIAS (the Hebrew Immigrant Aid Society) settled the family in Fitchburg, Massachusetts. I know that at least some of them (including him) were later in New York. But I found a newspaper article, showing a picture of him lighting Chanukah candles a year or two later – in a newspaper from Hillsborough, Ohio. Somewhat less surprising was that the best source I found for the list of people killed in the crash of the Congressional Limited in 1943, which included my great-aunt, Mary Lehrman (originally Mariasha Chlebatzka), was a Chicago newspaper, even though the crash was in Pennsylvania. It’s not surprising because it was a huge story, with 79 people killed, and there were stories in a lot of major newspapers. What is, perhaps, surprising, however, is that the Washington and New York papers didn’t have as complete a list. The theme for week 37 (September 10-16) is Closest to Your Birthday. I’m not really sure whose birthday is/was closest to mine. My best guess is my father. My birthday is September 4th. My father’s birthday was officially September 15, 1929, but he always said it was actually September 1, 1930. At some point during the Shoah (probably a selection at Dachau), he lied about his age and lied about the date to make it harder to disprove via whatever records might still exist. He always celebrated both dates. Also, I should do a better job of documenting information so I don’t struggle to answer questions like this one. The theme for Week 36 (September 3-9) was Work. My maternal grandfather, Simon Lubowsky, owned a jewelry store in the Bronx. He was mostly a watchmaker, though on his passenger manifest when he came to the U.S. he described himself as a silversmith. I think a lot of the walk-in business was related to watch repairs, but I’m not really sure. Back in those days of mechanical watches, they needed to be cleaned regularly and we believe that the chemicals he used in cleaning them were what caused the leukemia he died of. He also sold both fine and costume jewelry and he always had displays of personalized jewelry In the window. When my mother was growing up, all of the personalized jewelry always had her name. As I was his first granddaughter, I got pride of place for about 8 years. I have never completely forgiven my cousin, Ellen, for sharing the spotlight with me after that. I guess he did well, but owning your own business is a huge constraint on your time. He had enough flexibility that he could close the store and take us to the Bronx Zoo, but it was hard for him to take vacations. What finally got him to retire, however, was a couple of robberies. The theme for Week 35 (August 27-Sept. 2) was Back to School. I have believed for a long time that my father, a proud alumnus of City College of New York (or, as it was generally referred to in our house, the Harvard of the Proletariat) was the first member of my family to graduate from university. Dad got a bachelor’s degree in Civil Engineering in 1961. During my recent trip, I discovered that Meir Bruskin, my great-grandmother’s nephew (i.e. my first cousin twice removed), had at least been a student at Vytautas Magnus University in Kaunas, Lithuania in the mid 1920’s. There is more research I need to do there, but he may have beat Dad out in the education sweepstakes. The theme for Week 34 (August 20-26): was Non-Population. Non-population census records refer to information other than population statistics. There were various social statistics schedules (e.g. mortality), as well as agriculture and manufacturing censuses along with the census records for years from 1850-1880 in the U.S. There were also manufacturing schedules for 1820. As far as I know, none of my family was in the U.S. during those years, so those don’t do me any good. There was a 1935 Census of Business, which might have some information. Unfortunately, these do not appear to be available anywhere on-line. (Please tell me if I am wrong about that.) So this is not really a prompt that I have much to say about, at least until I have a lot of free time to spend at the National Archives. The theme for Week 33 (August 13-19) is Family Legend. According to my mother, my great-great-grandfather, Berel MAKOWER lived until the age of 100, when he was shot by Hitler himself, who was offended at the idea of a 100-year-old Jew. I’ve never actually believed this story, since there is pretty much no evidence that Hitler personally killed anyone. I got my great-grandparents’ marriage record (from Brok, Poland in 1896) translated and it lists my great-grandmother as Malka Ryfka MAKOWER, the daughter of the deceased Berel and still alive mother Bina Matlya MOSHKOVNA. Obviously, if he was already dead in 1896, he wasn’t killed by Hitler. The other suggestive thing about this has to do with Bina Matlya, who another family legend (also promulgated by my mother) says was a foundling, literally left in a basket on a doorstep. But the form of her name given here is a patronymic, indicating her father’s name was Moshe. 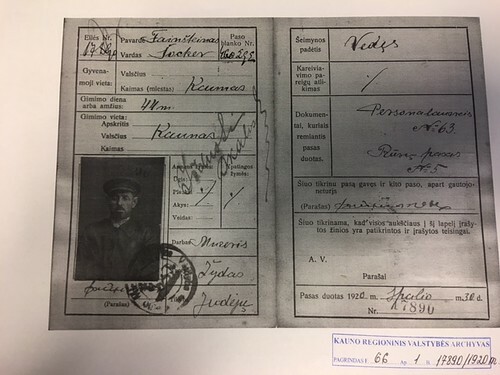 As it happens, I’ve also gotten her death certificate (from Pultusk, Poland in 1909) and it identifies her as the widow of Berko MAKOWER (which is the same as Berel – just different diminutive endings for the name, Ber) and the daughter of Moszko (a form of Moshe) and Nikha MAGNUSHEWER. Of course, it is entirely possible that she was adopted and used the names of her adoptive parents. I’m not sure if there was any formal adoption process in Poland circa 1845, so who knows?